87% of young people today will not attend a church on a weekly basis. 10% of all young people in Bexar County drop out of school. It is incumbent upon our ministry to assist the local church in reaching the thousands of young people in the greater San Antonio area. These teens not only need to hear the life-changing message of Jesus Christ, but also are in need of a nurturing body of believers to disciple them in their daily walk. The George Barna group reminds us through their surveying of the youth population that 63% of people make their commitment to Christ before the age of 18. It is imperative that SAYFC makes inroads to our school campuses, detention centers and at-risk neighborhoods within our community. “It is our mission to share Christ with every young person regardless of race or economic background. The main cry of young people today is a plea for true meaning in life and purpose for living. 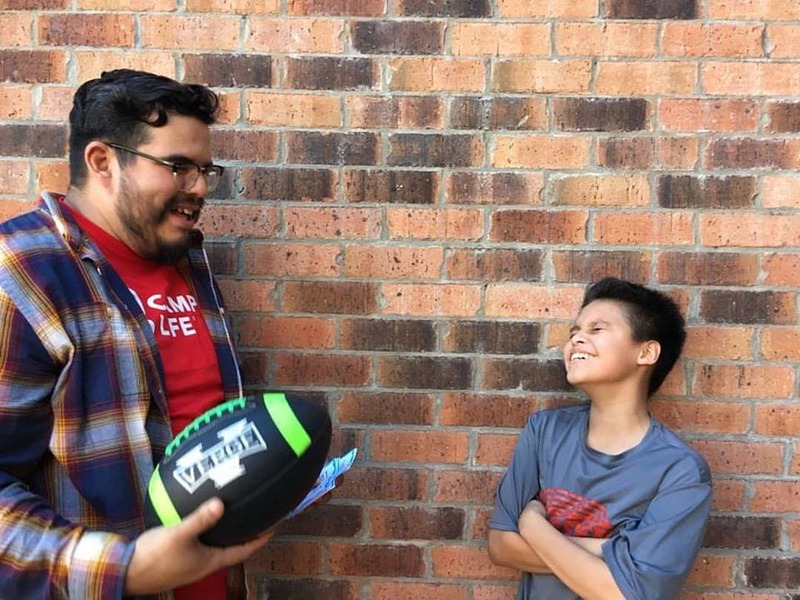 YFC Mentoring connects trained adults with teenagers for weekly one on one meetings and programs designed to help them make good choices and establish a solid foundation in their lives. At its most basic level, mentoring helps because it guarantees a young person that there is someone who cares about them. Our mentors are passionate about sharing the love of God with their mentees.